If you're having trouble using the Outlook for Android mobile app, Open an in-app Outlook support ticket. If you have a work or school account that uses Office 365 for business or Exchange-based accounts, there may be additional requirements set by your IT admin. For example, if you have a company-managed device, an on-premises Exchange server configured for basic authentication, or your company requires mobile app management for app protection. 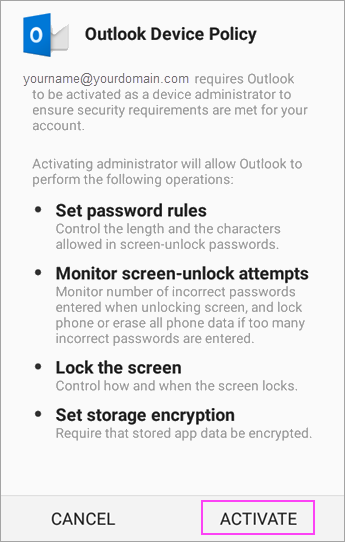 See the section Set up Outlook for Android with additional requirements below for specific instructions. 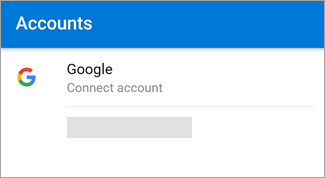 Note: If you have a work account that requires the Intune Company Portal app, install it from the Google Play Store before setting up Outlook for Android. Your IT admin may or may not also require you to Enroll your Android device in Intune. If you don't want to add these accounts, tap Skip and then go to step 4 under Set up another email account below.. 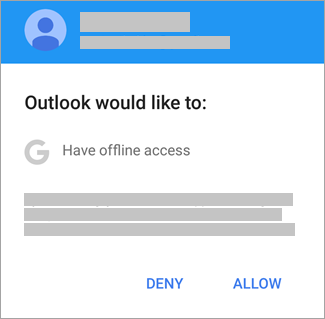 Some work and school accounts have additional security requirements before you can use Outlook for Android. If you're not sure which of these situations applies to your work or school account, talk to your Office 365 admin. Once you begin the enrollment process, you should complete the process in its entirety since pausing for more than a few minutes usually stops your progress and requires you to start over. If this process should fail, you need to return to the Company Portal app to try again. Open the Google Play Store. Search for and download the Intune Company Portal app. If you are prompted to create a work profile during the enrollment process, refer to the Create a work profile and enroll your device in Intune article. Otherwise, follow the procedure in the Enroll your Android device in Intune article to enroll your Android phone or tablet. Note: In case you are prompted for multi-factor authentication, please refer to Security info overview. Open the Outlook for Android app. 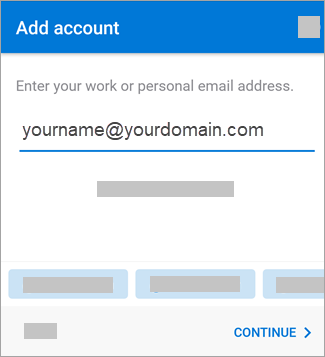 If you were prompted to create a work profile, use the work profile instance of Outlook to add your account. If your account is found, tap Continue. 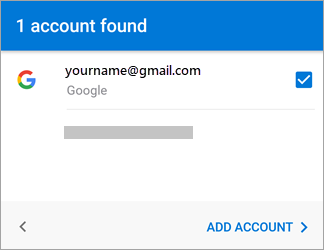 Note: If your account is not automatically found, enter your company email address, tap Add Account, then enter your password when prompted. Enter your email account password, then tap Sign In. Your company may have also implemented controls that will require you to Register before you can proceed. By registering, you are verifying your identity so the device can be validated by your organization. If prompted to register your device, tap Register. If your IT admin has set additional policies, you may need to tap Activate and Activate again. Note: After you open Outlook, your experience will be determined by a variety of factors including your company’s policy settings and whether you previously accessed corporate resources with your device. Follow the prompts that appear on your device for your given circumstances. Intune app protection policies can be configured and implemented without device enrollment. 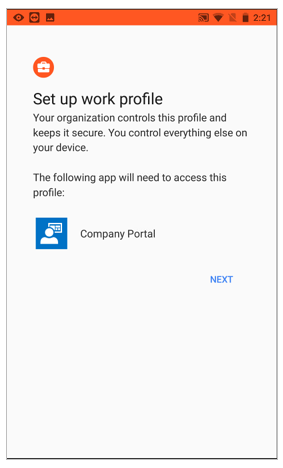 However, for Android devices, you are still required to install the Intune Company Portal app on the device for app protection policies to be enforced. 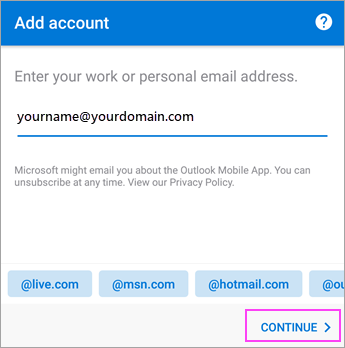 If you haven't already, install the Outlook for Android app from the Google Play Store or click here to enter your phone number and receive a download link. Open the Outlook for Android app. Enter your company email address, then tap Continue. If prompted, enter your email account password, then tap Sign In. Your experience may vary depending on your company’s requirements. 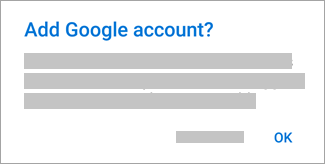 For example, you may be prompted to authenticate by using the Microsoft Authenticator app or verify yourself by text or phone. For details, see Security Info Overview. Your company may have also implemented controls that will require you to Register before you can proceed.By registering, you are verifying your identity so the device can be validated by your organization. If prompted to register your device, tap Register. If prompted to add another account, tap Maybe Later. Tap Skip or swipe through the feature screens. The message, Your organization is now protecting its data in this app. You need to restart the app to continue, appears. Tap OK. 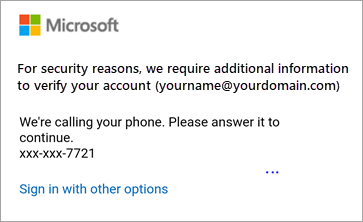 Restart Outlook for Android and set up a Personal Identification Number (PIN) when prompted. 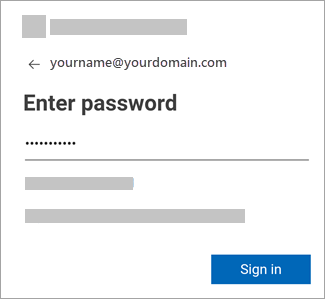 Enter your company email address and password to automatically configure your account. Tap Sign In. Server name: This is usually the same name you enter when checking your email on the web. Domain: This is usually optional. If unsure, check with your IT administrator. Username: This is your company email address. Password: This is the password for your company email account. Tap Next when finished and swipe through the features. Tap Setup account manually if available, and then on the email provider page choose Exchange and toggle Advanced Settings on. Enter your server setting details, if available and then tap the checkmark icon. Enter your full email address, such as yourname@yourdomain.com. Exchange accounts - See the section, Find your Exchange mailbox server settings or ask your IT admin for your server information. 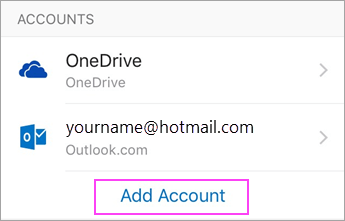 Office 365 work or school accounts - Use outlook.office365.com. Exchange accounts - Ask your IT admin for your server info. Office 365 work or school accounts - Use smtp.office365.com. You may be prompted to enter your email account password again or agree to/activate any necessary permissions. Need more help setting up Outlook for Android? This article was last updated on December 3, 2018 because of your feedback. 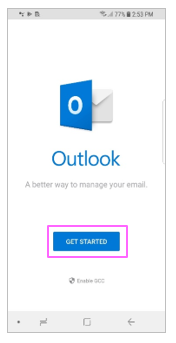 If you still need help setting up email using Outlook for Android, Open an in-app Outlook support ticket or tell us about your question in detail using the comment box below so we can address it in the future. 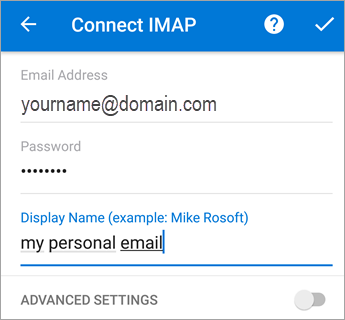 I want to set up an IMAP or POP account. If you want to set up an IMAP or POP email account, or don't have an email account with Exchange ActiveSync, use these instructions . When you set up an email account using IMAP or POP, only your email will sync--not calendar or contacts. What is IMAP and POP? Enter email address. Tap Continue. When asked to select an email provider, choose IMAP. Toggle Advanced settings on and enter your password and server settings. Note: If you don't already know this info, you'll need to get it from your email provider or administrator. For a list of common server settings and reference help, see Server settings you'll need from your email provider. Tap the checkmark icon to complete. To change your password you must go to your email provider's website to change them. For example, if you use a @hotmail.com email account, sign into outlook.com or if you use Gmail, go to Gmail.com. I'm having setup, sync, or other issues in the Outlook app. "I have Outlook set up, but I need help with something in the app." - See Open an in-app Outlook support ticket and click on "Contact Support" to see how you chat with agents in the app. "I need troubleshooting help for setting up my email." - See Troubleshoot email setup on mobile. "I'm setting up email for the first time and my calendar or contacts won't sync." - See Sync calendar with my phone or tablet. "I use an Outlook.com email address (such as hotmail.com or live.com) and it was syncing before but now it's not." - See Fix Outlook.com email sync issues.